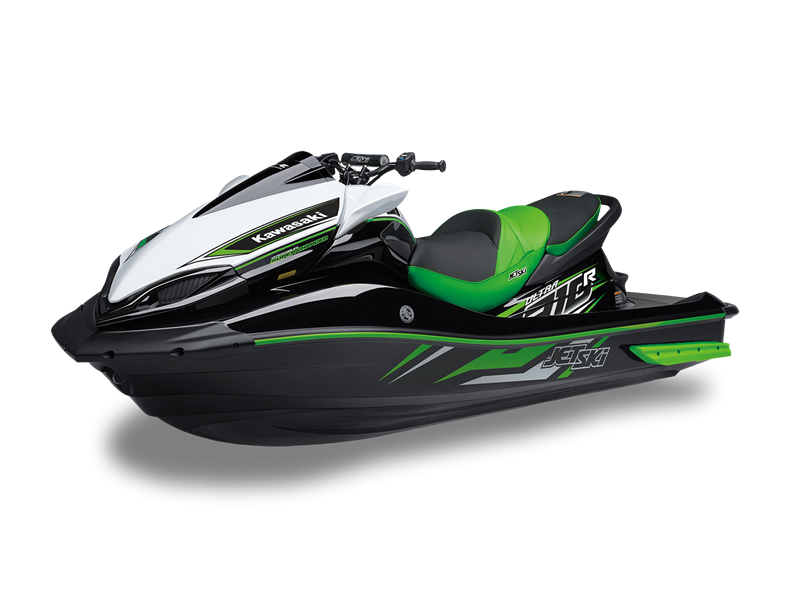 The KSS (Kawasaki Smart Steering) supplementary steering system is designed to assist new riders as they learn turning and manoeuvring of a personal watercraft. Experienced users may not even notice the system at all. 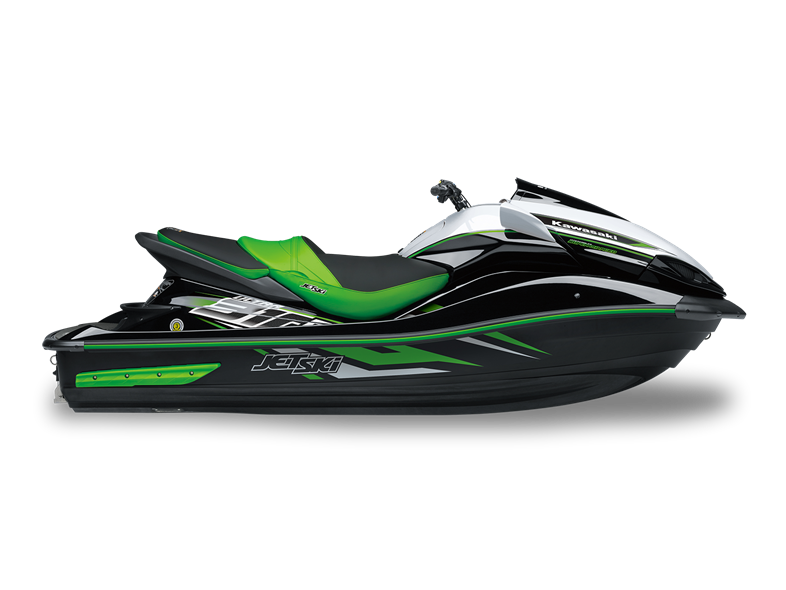 Smart Learning Operation (SLO)-Mode function allows newer riders to become familiar with the handling and response of this JET SKI watercraft at a more relaxed pace before unleashing the full power of the supercharged engine. Two separate keys (one for SLO-mode, one for full-power operation) make it easy for operators to know which operating mode they are using. Like that of its predecessor, the deep-V hull design enables a high bank angle, motorcycle-like turning performance. This reduces the lateral G-loads imposed on riders during turns, allowing them to better concentrate on riding. Measuring 22.5°, the idealised V-angle at the bottom of the hull helps prevent spinouts during sharp turns. 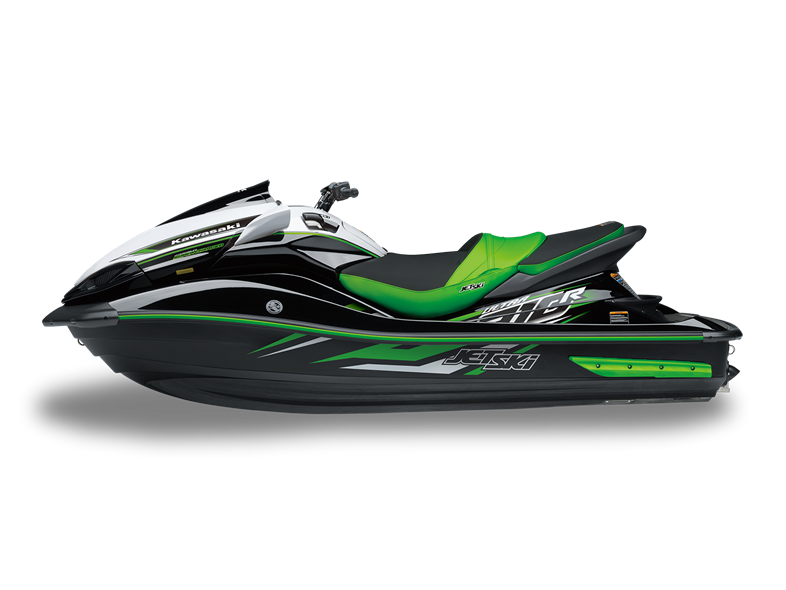 As a result, the ULTRA 310 Series models deliver the neutral handling and turning characteristics for which Kawasaki JET SKI watercraft are famous. Utrustad med en kompressor och intercooler, den vätskekylda 1.498 cm3, raka 4-cylindriga marinmotor som driver Ultra 310-serie modeller framåt med ett spännande rus av acceleration ger en effekt mycket större än en normal motor med samma cylindervolym. Detta till stor del för att man använder en TVS kompressor av Roots-typ som genererar ett övertryck även på låga varv som borgar för en kraftfull acceleration direkt vid gaspådrag. Ett antal förändringar höjer motoreffekten till 221 kW (300 hk). This convenient system allows the angle of the jet pump nozzle to be controlled electrically (step-free adjustment range is +/- 8° from STD), making it easier for riders to adjust the attitude of the hull to suit water surface conditions and riding style. In rough water, angling the jet pump upwards raises the bow for rough water handling. Conversely, when conditions are smooth, angling the jet pump downwards lowers the bow for turning performance.